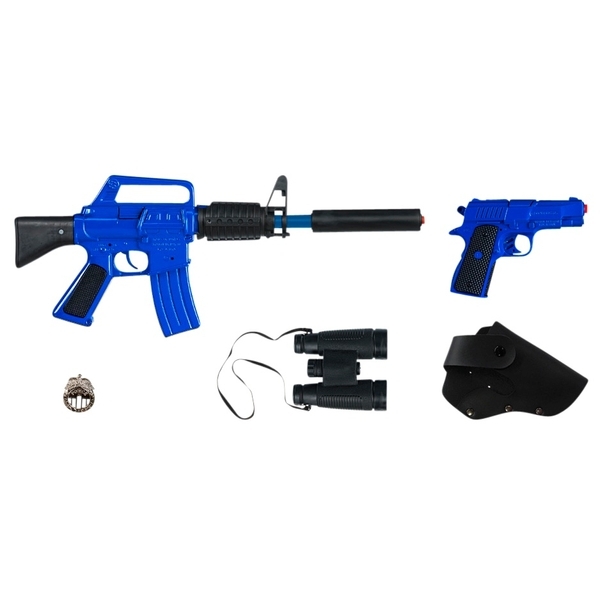 You are ready for action with this Gonher Action Task Force Toy Gun Set. As sheriff it is up to you to stop the cowboys from running wild. Use your rifle and gun to stop their shoot outs. If you can’t control the wild cowboys retreat to safety and use your binoculars to watch the action. Please note, styles may vary.